Gary Benton is an internationally recognized Arbitrator and Mediator with over thirty years major law firm and in-house expertise in US and international business, corporate investment, technology and emerging growth matters. Gary’s technology law career includes extensive experience litigating patent and other IP disputes, venture financing Silicon Valley tech startups, handling US and international M&A and IPOs, managing portfolios of international legal projects for Fortune 500 technology companies and serving as an Internet cloud security company General Counsel. 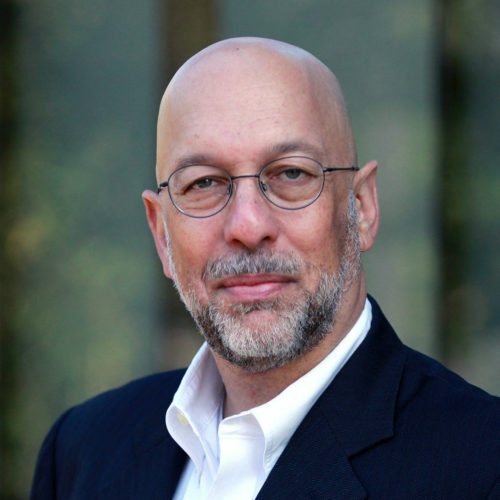 Gary is the founder and Chairman of the Silicon Valley Arbitration & Mediation Center. He was previously a partner with the leading international law firms Pillsbury Winthrop Shaw Pittman LLP and Coudert Brothers LLP in San Francisco and Palo Alto serving clients on US and international business and IP litigation/arbitration matters and corporate/emerging growth transactions. He is on the Adjunct Faculty of the Santa Clara University School of Law. Gary has handled hundreds of cases in the course of his career. He has substantial experience as a single, presiding and panel arbitrator in U.S. and international arbitrations involving corporate, commercial and international business transactions, including private investment, private equity and venture capital, international business contracts, IT & Internet, telecom, biotech & pharmaceuticals, alternative energy, technology development, sales, marketing and distribution, competition, IP licensing and infringement and data breach disputes. He is a member of the ICDR International Panel, the AAA Commercial Panel (Large & Complex Cases, IP, High Tech, Corporate Law, Communications & Telecom, Contract Law and General Business specialty panels) and Energy (Alternative Energy) Panel, the CPR Institute for Dispute Resolution Panel, the World Intellectual Property Organization (WIPO) Panel, the Hong Kong International Arbitration Centre (HKIAC) IP Panel and the Shenzhen Court of International Arbitration (SCIA) Panel, and serves as an Arbitrator on matters before the International Chamber of Commerce (ICC) Court of Arbitration and the Netherlands Arbitration Institute (NAI) and has served as counsel on matters before the London Court of International Arbitration (LCIA) and various other EU and Asian regional arbitral institutions, as well as in UNCITRAL proceedings. Gary is a Fellow of the College of Commercial Arbitrators (FCCA), a Fellow of the Chartered Institute of Arbitrators (FCIArb), a founder and on the Executive Committee of the California International Arbitration Council (CIAC), a member of the Institute for Transnational Arbitration (ITA) Advisory Board, the International Council for Commercial Arbitration (ICCA) and various other US and international arbitration and legal associations. In 2016, he was named by the National Law Journal as one of the 25 ADR Champions in the US. In 2017, he was named in the IAM 300 The World’s Leading IP Strategists. He currently chairs the ABA DRS Arbitration Consent Subcommittee. Gary is qualified as a US lawyer and an English solicitor. He is admitted to the US Supreme Court, Federal Circuit Court of Appeals and other US federal courts and has been appointed to the US District Court NDCA Mediation & ENE Panels. Gary has handled matters in over 80 countries, throughout Asia (including extensive work in China and India), Europe, Israel, Australia, the US and Central/South America. He serves as an Arbitrator and Mediator throughout the US and internationally in administered and ad hoc proceedings. For more information: www.garybentonarbitration.com.